***2015 INFINITI Q50 3.7 PREMIUM***LOCAL LEASE RETURN***1 OWNER***CLEAN CARFAX***ORIGINAL MSRP $43,380!!! ***INFINITI CERTIFIED WARRANTY UNTIL 3/2022 WITH UNLIMITED MILE COVERAGE AND COMPLIMENTARY BASIC MAINTENANCE FOR YOUR 1ST YEAR OF OWNERSHIP***BLACK OBSIDIAN EXTERIOR***GRAPHITE LEATHERETTE INTERIOR***MOONROOF***NAVIGATION***REAR VIEW CAMERA***BLUETOOTH***VOICE RECOGNITION***HEATED FRONT SEATS***BOSE 14-SPEAKER PREMIUM AUDIO***VEHICLE DYNAMIC CONTROL***BRAKE ASSIST***ACTIVE TRACE CONTROL***17 ALUMINUM-ALLOY WHEELS***DUAL-ZONE AUTOMATIC CLIMATE CONTROL***DOWNSHIFT REV MATCHING***DRIVE MODE SELECTOR***INFINITI INTOUCH DUAL DISPLAY SYSTEM***PUSH BUTTON IGNITION***INTELLIGENT KEY***INDEPENDENT FRONT & REAR SUSPENSION***ILLUMINATED KICK PLATES***SPLASH GUARDS***SIRIUSXM CAPABILITY***AND SO MUCH MORE***PRICED AGGRESSIVELY FOR A QUICK SALE***INFINITI Certified Pre-Owned means you not only get the reassurance of up to a 6yr/unlimited mileage warranty, but also a 167-point inspection/reconditioning, complimentary first year basic maintenance, 24/7 roadside assistance, trip-interruption services, free 3-month trial subscription to Sirius XM Satellite Radio, complimentary service courtesy vehicle, complimentary oil/filter change, and a complete CARFAX vehicle history report. Located in the heart of Fort Lauderdale, Lauderdale INFINITI is every car buyer's first choice when it comes to high quality luxury vehicles. Lauderdale INFINITI is a proud member of the Holman Family of dealerships. Since 1924, we have made every effort to provide an exceptional experience to every one of our customers and we continue that tradition with the INFINITI Total Ownership Experience. ***2015 INFINITI Q50 3.7 PREMIUM***ONLY 24,525 MILES!!! ***LOCAL LEASE RETURN***1 OWNER***CLEAN CARFAX***ORIGINAL MSRP $42,755!!! ***INFINITI CERTIFIED WARRANTY UNTIL 2/2022 WITH UNLIMITED MILE COVERAGE AND COMPLIMENTARY BASIC MAINTENANCE FOR YOUR 1ST YEAR OF OWNERSHIP***LIQUID PLATINUM EXTERIOR***GRAPHITE LEATHERETTE INTERIOR***MOONROOF***NAVIGATION***REAR VIEW CAMERA***BLUETOOTH***VOICE RECOGNITION***BOSE 14-SPEAKER PREMIUM AUDIO***VEHICLE DYNAMIC CONTROL***BRAKE ASSIST***ACTIVE TRACE CONTROL***HEATED FRONT SEATS***17 ALUMINUM-ALLOY WHEELS***DOWNSHIFT REV MATCHING***DRIVE MODE SELECTOR***INFNITI INTOUCH DUAL DISPLAY SYSTEM***INDEPENDENT FRONT & REAR SUSPENSION***DUAL-ZONE AUTOMATIC CLIMATE CONTROL***SIRIUSXM CAPABILITY***60/40 SPLIT-FOLD REAR SEAT***INTELLIGENT KEY***PUSH BUTTON IGNITION***AND SO MUCH MORE***PRICED AGGRESSIVELY FOR A QUICK SALE***INFINITI Certified Pre-Owned means you not only get the reassurance of up to a 6yr/unlimited mileage warranty, but also a 167-point inspection/reconditioning, complimentary first year basic maintenance, 24/7 roadside assistance, trip-interruption services, free 3-month trial subscription to Sirius XM Satellite Radio, complimentary service courtesy vehicle, complimentary oil/filter change, and a complete CARFAX vehicle history report. Located in the heart of Fort Lauderdale, Lauderdale INFINITI is every car buyer's first choice when it comes to high quality luxury vehicles. Lauderdale INFINITI is a proud member of the Holman Family of dealerships. Since 1924, we have made every effort to provide an exceptional experience to every one of our customers and we continue that tradition with the INFINITI Total Ownership Experience. ***2016 INFINITI QX50 3.7L V6***LOCAL LEASE RETURN***1 OWNER***CLEAN CARFAX***ORIGINAL MSRP $38,890!!! ***INFINITI CERTIFIED WARRANTY UNTIL 12/2021 WITH UNLIMITED MILE COVERAGE AND COMPLIMENTARY BASIC MAINTENANCE FOR YOUR 1ST YEAR OF OWNERSHIP***MAJESTIC WHITE EXTERIOR***CHESTNUT LEATHER INTERIOR***PREMIUM PACKAGE***PREMIUM PLUS PACKAGE***MOONROOF***NAVIGATION***AROUND VIEW CAMERAS***FRONT & REAR SONAR SYSTEM***BLUETOOTH***BOSE 11-SPEAKER PREMIUM AUDIO***18 8-SPOKE ALUMINUM-ALLOY WHEELS***HEATED FRONT SEATS***ADVANCED CLIMATE CONTROL SYSTEM***VEHICLE DYNAMIC CONTROL***BRAKE ASSIST***DUAL OCCUPANT MEMORY SYSTEM***DRIVER ENTRY/EXIT ASSIST***7 VGA IN-DASH COLOR TOUCH SCREEN***ADAPTIVE SHIFT CONTROL***DOWNSHIFT REV MATCHING***INTELLIGENT KEY***PUSH BUTTON IGNITION***SIRIUSXM CAPABILITY***AND SO MUCH MORE***INFINITI Certified Pre-Owned means you not only get the reassurance of up to a 6yr/unlimited mileage warranty, but also a 167-point inspection/reconditioning, complimentary first year basic maintenance, 24/7 roadside assistance, trip-interruption services, free 3-month trial subscription to Sirius XM Satellite Radio, complimentary service courtesy vehicle, complimentary oil/filter change, and a complete CARFAX vehicle history report. Located in the heart of Fort Lauderdale, Lauderdale INFINITI is every car buyer's first choice when it comes to high quality luxury vehicles. Lauderdale INFINITI is a proud member of the Holman Family of dealerships. Since 1924, we have made every effort to provide an exceptional experience to every one of our customers and we continue that tradition with the INFINITI Total Ownership Experience. ***2016 INFINITI QX50 3.7L V6 RWD***LOCAL LEASE RETURN***1 OWNER***CLEAN CARFAX***ORIGINAL MSRP $36,830!!! ***REGULARLY SERVICED***INFINITI CERTIFIED WARRANTY UNTIL 1/2022 WITH UNLIMITED MILE COVERAGE AND COMPLIMENTARY BASIC MAINTENANCE FOR YOUR 1ST YEAR OF OWNERSHIP***GRAPHITE SHADOW EXTERIOR***GRAPHITE LEATHER INTERIOR***PREMIUM PACKAGE***MOONROOF***REAR VIEW CAMERA***BOSE 11 SPEAKER PREMIUM AUDIO***ADVANCED CLIMATE CONTROL SYSTEM***HEATED FRONT SEATS***18 8-SPOKE ALUMINUM-ALLOY WHEELS***BRAKE ASSIST***VEHICLE DYNAMIC CONTROL***7 IN-DASH COLOR DISPLAY***BLUETOOTH***ADAPTIVE SHIFT CONTROL***DOWNSHIFT REV MATCHING***SEQUENTIAL WELCOME LIGHTING***LED DAYTIME RUNNING LIGHTS***DUAL OCCUPANT MEMORY SYSTEM***PUSH BUTTON IGNITION***INTELLIGENT KEY***SIRIUSXM CAPABILITY***ENTRY/EXIT ASSIST FOR DRIVERS SEAT***ALUMINUM ROOF RAILS***AND SO MUCH MORE***PRICED AGGRESSIVELY FOR A QUICK SALE***INFINITI Certified Pre-Owned means you not only get the reassurance of up to a 6yr/unlimited mileage warranty, but also a 167-point inspection/reconditioning, complimentary first year basic maintenance, 24/7 roadside assistance, trip-interruption services, free 3-month trial subscription to Sirius XM Satellite Radio, complimentary service courtesy vehicle, complimentary oil/filter change, and a complete CARFAX vehicle history report. Located in the heart of Fort Lauderdale, Lauderdale INFINITI is every car buyer's first choice when it comes to high quality luxury vehicles. Lauderdale INFINITI is a proud member of the Holman Family of dealerships. Since 1924, we have made every effort to provide an exceptional experience to every one of our customers and we continue that tradition with the INFINITI Total Ownership Experience. ***2016 INFINITI Q50 2.0T PREMIUM***ONLY 19,903 MILES!!! ***FLORIDA VEHICLE***1 OWNER***CLEAN CARFAX***ORIGINAL MSRP $41,145!!! ***SERVICED AT INFINITI DEALERSHIP***INFINITI CERTIFIED WARRANTY UNTIL 6/2022 WITH UNLIMITED MILE COVERAGE AND COMPLIMENTARY BASIC MAINTENANCE FOR YOUR 1ST YEAR OF OWNERSHIP***LIQUID PLATINUM EXTERIOR***GRAPHITE PREMIUM LEATHERETTE INTERIOR***PREMIUM PLUS PACKAGE***MOONROOF***NAVIGATION***REAR VIEW CAMERA***BLUETOOTH***VOICE RECOGNITION***HEATED FRONT SEATS***BOSE CENTERPOINT SURROUND SOUND***17 ALUMINUM-ALLOY WHEELS***VEHICLE DYNAMIC CONTROL***BRAKE ASSIST***ACTIVE TRACE CONTROL***HILL START ASSIST***DUAL-ZONE AUTOMATIC CLIMATE CONTROL***DUAL OCCUPANT MEMORY SYSTEM***NAVI SYNC ADAPTIVE SHIFT CONTROL***INTELLIGENT KEY***PUSH BUTTON IGNITION***DOWNSHIFT REV MATCHING***DRIVE MODE SELECTOR***ILLUMINATED KICK PLATES***SIRIUSXM CAPABILITY***AND SO MUCH MORE***PRICED AGGRESSIVELY FOR A QUICK SALE***INFINITI Certified Pre-Owned means you not only get the reassurance of up to a 6yr/unlimited mileage warranty, but also a 167-point inspection/reconditioning, complimentary first year basic maintenance, 24/7 roadside assistance, trip-interruption services, free 3-month trial subscription to Sirius XM Satellite Radio, complimentary service courtesy vehicle, complimentary oil/filter change, and a complete CARFAX vehicle history report. Located in the heart of Fort Lauderdale, Lauderdale INFINITI is every car buyer's first choice when it comes to high quality luxury vehicles. Lauderdale INFINITI is a proud member of the Holman Family of dealerships. Since 1924, we have made every effort to provide an exceptional experience to every one of our customers and we continue that tradition with the INFINITI Total Ownership Experience. ***2016 INFINITI QX70***FLORIDA VEHICLE***CLEAN CARFAX***ORIGINAL MSRP $46,845!!! ***INFINITI CERTIFIED WARRANTY UNTIL 2/2022 WITH UNLIMITED MILE COVERAGE AND COMPLIMENTARY BASIC MAINTENANCE FOR YOUR 1ST YEAR OF OWNERSHIP***BLACK OBSIDIAN EXTERIOR***WHEAT LEATHER INTERIOR***MOONROOF***REAR VIEW CAMERA***HEATED FRONT SEATS***BLUETOOTH***BOSE 11-SPEAKER PREMIUM AUDIO***18 5-SPOKE ALUMINUM-ALLOY WHEELS***ADAPTIVE SHIFT CONTROL***DUAL-ZONE AUTOMATIC CLIMATE CONTROL***7 IN-DASH COLOR DISPLAY***INTELLIGENT KEY***PUSH BUTTON IGNITION***DOWNSHIFT REV MATCHING***POWER LIFTGATE***VEHICLE DYNAMIC CONTROL***BRAKE ASSIST***SIRIUSXM CAPABILITY***INDEPENDENT FRONT & MULTI-LINK REAR SUSPENSION***AND SO MUCH MORE***PRICED AGGRESSIVELY FOR A QUICK SALE***INFINITI Certified Pre-Owned means you not only get the reassurance of up to a 6yr/unlimited mileage warranty, but also a 167-point inspection/reconditioning, complimentary first year basic maintenance, 24/7 roadside assistance, trip-interruption services, free 3-month trial subscription to Sirius XM Satellite Radio, complimentary service courtesy vehicle, complimentary oil/filter change, and a complete CARFAX vehicle history report. Located in the heart of Fort Lauderdale, Lauderdale INFINITI is every car buyer's first choice when it comes to high quality luxury vehicles. Lauderdale INFINITI is a proud member of the Holman Family of dealerships. Since 1924, we have made every effort to provide an exceptional experience to every one of our customers and we continue that tradition with the INFINITI Total Ownership Experience. ***2018 INFINITI Q60 3.0T LUXE***1 OWNER***CLEAN CARFAX***ORIGINAL MSRP $45,295!!! ***INFINITI CERTIFIED WARRANTY UNTIL 4/2024 WITH UNLIMITED MILE COVERAGE AND COMPLIMENTARY BASIC MAINTENANCE FOR YOUR 1ST YEAR OF OWNERSHIP***HAGANE BLUE METALLIC EXTERIOR***GRAPHITE LEATHERETTE INTERIOR***MOONROOF***REAR VIEW CAMERA***BLUETOOTH***VOICE RECOGNITION***BOSE 13-SPEAKER SURROUND SOUND***BRAKE ASSIST***VEHICLE DYNAMIC CONTROL***ACTIVE TRACE CONTROL***HILL START ASSIST***19 ALUMINUM-ALLOY WHEELS***DUAL-ZONE AUTOMATIC CLIMATE CONTROL***POWER FRONT SEATS***DRIVE MODE SELECTOR***INTELLIGENT KEY***PUSH BUTTON IGNITION***INDEPENDENT FRONT & REAR SUSPENSION***DOWNSHIFT REV MATCHING***SIRIUSXM CAPABILITY**INFINITI INTOUCH DUAL DISPLAY SYSTEM***AND SO MUCH MORE***PRICED AGGRESSIVELY FOR A QUICK SALE***INFINITI Certified Pre-Owned means you not only get the reassurance of up to a 6yr/unlimited mileage warranty, but also a 167-point inspection/reconditioning, complimentary first year basic maintenance, 24/7 roadside assistance, trip-interruption services, free 3-month trial subscription to Sirius XM Satellite Radio, complimentary service courtesy vehicle, complimentary oil/filter change, and a complete CARFAX vehicle history report. Located in the heart of Fort Lauderdale, Lauderdale INFINITI is every car buyer's first choice when it comes to high quality luxury vehicles. Lauderdale INFINITI is a proud member of the Holman Family of dealerships. Since 1924, we have made every effort to provide an exceptional experience to every one of our customers and we continue that tradition with the INFINITI Total Ownership Experience. ***2018 INFINITI Q60 3.0T LUXE***FLORIDA VEHICLE***1 OWNER***CLEAN CARFAX***ORIGINAL MSRP $45,295!!! ***INFINITI CERTIFIED WARRANTY UNTIL 2/2024 WITH UNLIMITED MILE COVERAGE AND COMPLIMENTARY BASIC MAINTENANCE FOR YOUR 1ST YEAR OF OWNERSHIP***PURE WHITE EXTERIOR***STONE LEATHERETTE INTERIOR***MOONROOF***REAR VIEW CAMERA***BOSE CENTERPOINT SURROUND SOUND SYSTEM***BLUETOOTH***VOICE RECOGNITION***19 ALUMINUM-ALLOY WHEELS***INFINITI INTOUCH DUAL DISPLAY SYSTEM***POWER FRONT SEATS***DUAL-ZONE AUTOMATIC CLIMATE CONTROL***BRAKE ASSIST***VEHICLE DYNAMIC CONTROL***ACTIVE TRACE CONTROL***HILL START ASSIST***PUSH BUTTON IGNITION***INTELLIGENT KEY***DRIVE MODE SELECTOR***DOWNSHIFT REV MATCHING***INDEPENDENT FRONT & REAR SUSPENSION***SIRIUSXM CAPABILITY***INFINITI VEHICLE IMMOBILIZER SYSTEM***AND SO MUCH MORE***PRICED AGGRESSIVELY FOR A QUICK SALE***INFINITI Certified Pre-Owned means you not only get the reassurance of up to a 6yr/unlimited mileage warranty, but also a 167-point inspection/reconditioning, complimentary first year basic maintenance, 24/7 roadside assistance, trip-interruption services, free 3-month trial subscription to Sirius XM Satellite Radio, complimentary service courtesy vehicle, complimentary oil/filter change, and a complete CARFAX vehicle history report. Located in the heart of Fort Lauderdale, Lauderdale INFINITI is every car buyer's first choice when it comes to high quality luxury vehicles. Lauderdale INFINITI is a proud member of the Holman Family of dealerships. Since 1924, we have made every effort to provide an exceptional experience to every one of our customers and we continue that tradition with the INFINITI Total Ownership Experience. ***2019 INFINITI QX50 LUXE***1 OWNER***CLEAN CARFAX***ORIGINAL MSRP $40,395!!! ***INFINITI CERTIFIED WARRANTY UNTIL 9/2024 WITH UNLIMITED MILE COVERAGE AND COMPLIMENTARY BASIC MAINTENANCE FOR YOUR 1ST YEAR OF OWNERSHIP***LUNAR WHITE EXTERIOR***GRAPHITE LEATHERETTE INTERIOR***PANORAMIC MOONROOF***REAR VIEW CAMERA***BLIND SPOT WARNING***PREDICTIVE FORWARD COLLISION WARNING***FORWARD EMERGENCY BRAKING W/PEDESTRIAN DETECTION***BLUETOOTH***VOICE RECOGNITION***19 ALUMINUM-ALLOY WHEELS***ACTIVE NOISE CANCELLATION***INFINITI INTOUCH DUAL DISPLAY SYSTEM***DUAL-ZONE AUTOMATIC CLIMATE CONTROL***HILL START ASSIST***VEHICLE DYNAMIC CONTROL***DRIVE MODE SELECTOR***PADDLE SHIFTERS***SIRIUSXM CAPABILITY***INTELLIGENT KEY***PUSH BUTTON IGNITION***POWER LIFTGATE***ROOF RAILS***LED SIGNATURE DAYTIME RUNNING LIGHTS***AND SO MUCH MORE***PRICED AGGRESSIVELY FOR A QUICK SALE***Located in the heart of Fort Lauderdale, Lauderdale INFINITI is every car buyer's first choice when it comes to high quality luxury vehicles. Lauderdale INFINITI is a proud member of the Holman Family of dealerships. Since 1924, we have made every effort to provide an exceptional experience to every one of our customers and we continue that tradition with the INFINITI Total Ownership Experience. ***2019 INFINITI QX60 PURE***ONLY 4,994 MILES!!! ***LOCAL LEASE RETURN***1 OWNER***CLEAN CARFAX***ORIGINAL MSRP $45,220!!! ***INFINITI CERTIFIED WARRANTY UNTIL 7/2024 OR 75K MILES, WHICHEVER COMES FIRST AND COMPLIMENTARY BASIC MAINTENANCE FOR YOUR 1ST YEAR OF OWNERSHIP***BLACK OBSIDIAN EXTERIOR***GRAPHITE LEATHERETTE INTERIOR***MOONROOF***REAR VIEW CAMERA***BLIND SPOT WARNING***PREDICTIVE FORWARD COLLISION WARNING***FORWARD EMERGENCY BRAKING W/PEDESTRIAN DETECTION***REAR DOOR ALERT***VEHICLE DYNAMIC CONTROL***BRAKE ASSIST***HILL START ASSIST***18 ALUMINUM-ALLOY WHEELS***BLUETOOTH***VOICE RECOGNITION***8 IN-DASH COLOR DISPLAY***PUSH BUTTON IGNITION***INTELLIGENT KEY***DRIVE MODE SELECTOR***HEATED FRONT SEATS***SEQUENTIAL WELCOME LIGHTING SYSTEM***POWER LIFTGATE***TRI-ZONE AUTOMATIC CLIMATE CONTROL***SIRIUSXM CAPABILITY***AND SO MUCH MORE***PRICED AGGRESSIVELY FOR A QUICK SALE***INFINITI Certified Pre-Owned means you not only get the reassurance of up to a 6yr/unlimited mileage warranty, but also a 167-point inspection/reconditioning, complimentary first year basic maintenance, 24/7 roadside assistance, trip-interruption services, free 3-month trial subscription to Sirius XM Satellite Radio, complimentary service courtesy vehicle, complimentary oil/filter change, and a complete CARFAX vehicle history report. Located in the heart of Fort Lauderdale, Lauderdale INFINITI is every car buyer's first choice when it comes to high quality luxury vehicles. Lauderdale INFINITI is a proud member of the Holman Family of dealerships. Since 1924, we have made every effort to provide an exceptional experience to every one of our customers and we continue that tradition with the INFINITI Total Ownership Experience. ***2016 INFINITI QX80 5.6L V8 2WD***FLORIDA VEHICLE***1 OWNER***CLEAN CARFAX***ORIGINAL MSRP $66,745!!! ***INFINITI CERTIFIED WARRANTY UNTIL 3/2022 WITH UNLIMITED MILE COVERAGE AND COMPLIMENTARY BASIC MAINTENANCE FOR YOUR 1ST YEAR OF OWNERSHIP***SMOKY QUARTZ EXTERIOR***WHEAT LEATHER INTERIOR***DRIVER'S ASSISTANCE PACKAGE***MOONROOF***NAVIGATION***AROUND VIEW CAMERAS W/MOVING OBJECT DETECTION***FRONT & REAR SONAR SYSTEM***BLIND SPOT WARNING***BACKUP COLLISION INTERVENTION***PREDICTIVE FORWARD COLLISION WARNING***FORWARD EMERGENCY BRAKING***INTELLIGENT CRUISE CONTROL***DISTANCE CONTROL ASSIST***BLUETOOTH***VOICE RECOGNITION***BOSE 13-SPEAKER PREMIUM AUDIO***HEATED FRONT SEATS***ADAPTIVE SHIFT CONTROL***20 SPLIT 6-SPOKE ALUMINUM-ALLOY WHEELS***TRI0ZONE AUTOMATIC CLIMATE CONTROL***POWER LIFTGATE***BRAKE ASSIST***VEHICLE DYNAMIC CONTROL***DOWNSHIFT REV MATCHING**INTEGRATED CLASS IV TOW HITCH***REMOTE ENGINE START***SIRIUSXM CAPABILITY***AND SO MUCH MORE***PRICED AGGRESSIVELY FOR A QUICK SALE***INFINITI Certified Pre-Owned means you not only get the reassurance of up to a 6yr/unlimited mileage warranty, but also a 167-point inspection/reconditioning, complimentary first year basic maintenance, 24/7 roadside assistance, trip-interruption services, free 3-month trial subscription to Sirius XM Satellite Radio, complimentary service courtesy vehicle, complimentary oil/filter change, and a complete CARFAX vehicle history report. Located in the heart of Fort Lauderdale, Lauderdale INFINITI is every car buyer's first choice when it comes to high quality luxury vehicles. Lauderdale INFINITI is a proud member of the Holman Family of dealerships. Since 1924, we have made every effort to provide an exceptional experience to every one of our customers and we continue that tradition with the INFINITI Total Ownership Experience. ***2019 INFINITI QX50 PURE***LOCAL LEASE RETURN***1 OWNER***CLEAN CARFAX***ORIGINAL MSRP $37,730!!! ***INFINITI CERTIFIED WARRANTY UNTIL 7/2024 OR 75K MILES, WHICHEVER COMES FIRST AND COMPLIMENTARY BASIC MAINTENANCE FOR YOUR 1ST YEAR OF OWNERSHIP***BLACK OBSIDIAN EXTERIOR***WHEAT/BLACK LEATHERETTE INTERIOR***REAR VIEW CAMERA***FORWARD EMERGENCY BRAKING W/PEDESTRIAN DETECTION***PREDICTIVE FORWARD COLLISION WARNING***BLUETOOTH***VOICE RECOGNITION***19 ALUMINUM-ALLOY WHEELS***POWER LIFTGATE***ACTIVE NOISE CANCELLATION***VEHICLE DYNAMIC CONTROL***BRAKE ASSIST***DRIVE MODE SELECTOR***POWER FRONT SEATS***PADDLE SHIFTERS***DUAL-ZONE AUTOMATIC CLIMATE CONTROL***REAR PRIVACY GLASS***HILL START ASSIST***INTELLIGENT KEY***PUSH BUTTON IGNITION***SPLASH GUARDS***SIRIUSXM CAPABILITY***INFINITI INTOUCH DUAL DISPLAY SYSTEM***AND SO MUCH MORE***PRICED AGGRESSIVELY FOR A QUICK SALE***INFINITI Certified Pre-Owned means you not only get the reassurance of up to a 6yr/unlimited mileage warranty, but also a 167-point inspection/reconditioning, complimentary first year basic maintenance, 24/7 roadside assistance, trip-interruption services, free 3-month trial subscription to Sirius XM Satellite Radio, complimentary service courtesy vehicle, complimentary oil/filter change, and a complete CARFAX vehicle history report. Located in the heart of Fort Lauderdale, Lauderdale INFINITI is every car buyer's first choice when it comes to high quality luxury vehicles. Lauderdale INFINITI is a proud member of the Holman Family of dealerships. Since 1924, we have made every effort to provide an exceptional experience to every one of our customers and we continue that tradition with the INFINITI Total Ownership Experience. ***2019 INFINITI QX50 LUXE***ONLY 8,227 MILES!!! ***LOCAL LEASE RETURN***1 OWNER***CLEAN CARFAX***ORIGINAL MSRP $41,840!!! ***SERVICED HERE AT LAUDERDALE INFINITI***INFINITI CERTIFIED WARRANTY UNTIL 8/2024 OR 75K MILES, WHICHEVER COMES FIRST AND COMPLIMENTARY BASIC MAINTENANCE FOR YOUR FIRST YEAR OF OWNERSHIP***BLACK OBSIDIAN EXTERIOR***LEATHERETTE INTERIOR***CARGO PACKAGE***PANORAMIC MOONROOF***REAR VIEW CAMERA***FORWARD EMERGENCY BRAKING W/PEDESTRIAN DETECTION***PREDICTIVE FORWARD COLLISION WARNING***BLIND SPOT WARNING***BLUETOOTH***VOICE RECOGNITION***HEATED FRONT SEATS******19 ALUMINUM-ALLOY WHEELS***DUAL-ZONE AUTOMATIC CLIMATE CONTROL***BRAKE ASSIST***VEHICLE DYNAMIC CONTROL***HILL START ASSIST***ACTIVE NOISE CANCELLATION***PADDLE SHIFTERS***DRIVE MODE SELECTOR***POWER LIFTGATE***INTELLIGENT KEY***PUSH BUTTON IGNITION***INFINITI INTOUCH DUAL DISPLAY SYSTEM***WELCOME LIGHTING***ROOF RAILS***SPLASH GUARDS***SIRIUSXM CAPABILITY***AND SO MUCH MORE***PRICED AGGRESSIVELY FOR A QUICK SALE***INFINITI Certified Pre-Owned means you not only get the reassurance of up to a 6yr/unlimited mileage warranty, but also a 167-point inspection/reconditioning, complimentary first year basic maintenance, 24/7 roadside assistance, trip-interruption services, free 3-month trial subscription to Sirius XM Satellite Radio, complimentary service courtesy vehicle, complimentary oil/filter change, and a complete CARFAX vehicle history report. Located in the heart of Fort Lauderdale, Lauderdale INFINITI is every car buyer's first choice when it comes to high quality luxury vehicles. Lauderdale INFINITI is a proud member of the Holman Family of dealerships. Since 1924, we have made every effort to provide an exceptional experience to every one of our customers and we continue that tradition with the INFINITI Total Ownership Experience. ***2019 INFINITI QX50 LUXE***LOCAL LEASE RETURN***1 OWNER***CLEAN CARFAX***ORIGINAL MSRP $42,340!!! ***SERVICED HERE AT LAUDERDALE INFINITI***INFINITI CERTIFIED WARRANTY UNTIL 7/2024 OR 75K MILES, WHICHEVER COMES FIRST AND COMPLIMENTARY BASIC MAINTENANCE FOR YOUR 1ST YEAR OF OWNERSHIP***MAJESTIC WHITE EXTERIOR***WHEAT/BLACK LEATHERETTE INTERIOR***PANORAMIC MOONROOF***REAR VIEW CAMERA***BLIND SPOT WARNING***FORWARD EMERGENCY BRAKING W/PEDESTRIAN DETECTION***PREDICTIVE FORWARD COLLISION WARNING***HEATED FRONT SEATS***19 ALUMINUM-ALLOY WHEELS***BLUETOOTH***VOICE RECOGNITION***ACTIVE NOISE CANCELLATION***HILL START ASSIST***DUAL-ZONE AUTOMATIC CLIMATE CONTROL***VEHICLE DYNAMIC CONTROL***BRAKE ASSIST***POWER TAILGATE***INTELLIGENT KEY***PUSH BUTTON IGNITION***WELCOME LIGHTING***SPLASH GUARDS***DRIVE MODE SELECTOR***PADDLE SHIFTERS***ROOF RAILS***SIRIUSXM CAPABILITY***AND SO MUCH MORE***PRICED AGGRESSIVELY FOR A QUICK SALE***INFINITI Certified Pre-Owned means you not only get the reassurance of up to a 6yr/unlimited mileage warranty, but also a 167-point inspection/reconditioning, complimentary first year basic maintenance, 24/7 roadside assistance, trip-interruption services, free 3-month trial subscription to Sirius XM Satellite Radio, complimentary service courtesy vehicle, complimentary oil/filter change, and a complete CARFAX vehicle history report. Located in the heart of Fort Lauderdale, Lauderdale INFINITI is every car buyer's first choice when it comes to high quality luxury vehicles. Lauderdale INFINITI is a proud member of the Holman Family of dealerships. Since 1924, we have made every effort to provide an exceptional experience to every one of our customers and we continue that tradition with the INFINITI Total Ownership Experience. ***2019 INFINITI QX60 LUXE***LOCAL LEASE RETURN***1 OWNER***CLEAN CARFAX***ORIGINAL MSRP $47,465!!! ***INFINITI CERTIFIED WARRANTY UNTIL 8/2024 OR 75K MILES, WHICHEVER COMES FIRST AND COMPLIMENTARY BASIC MAINTENANCE FOR YOUR 1ST YEAR OF OWNERSHIP***BLACK OBSIDIAN EXTERIOR***GRAPHITE LEATHERETTE INTERIOR***MOONROOF***REAR VIEW CAMERA***FORWARD EMERGENCY BRAKING W/PEDESTRIAN DETECTION***BLIND SPOT WARNING***PREDICTIVE FORWARD COLLISION WARNING***BLUETOOTH***VOICE RECOGNITION***HEATED FRONT SEATS***BOSE 13-SPEAKER PREMIUM AUDIO***VEHICLE DYNAMIC CONTROL***BRAKE ASSIST***HILL START ASSIST***POWER TAILGATE***TRI-ZONE AUTOMATIC CLIMATE CONTROL***18 ALUMINUM-ALLOY WHEELS***DRIVE MODE SELECTOR***REAR DOOR ALERT***REMOTE ENGINE START***INTELLIGENT KEY***PUSH BUTTON IGNITION***SIRIUSXM CAPABILITY***WELCOME LIGHTING***AND SO MUCH MORE***PRICED AGGRESSIVELY FOR A QUICK SALE***INFINITI Certified Pre-Owned means you not only get the reassurance of up to a 6yr/unlimited mileage warranty, but also a 167-point inspection/reconditioning, complimentary first year basic maintenance, 24/7 roadside assistance, trip-interruption services, free 3-month trial subscription to Sirius XM Satellite Radio, complimentary service courtesy vehicle, complimentary oil/filter change, and a complete CARFAX vehicle history report. Located in the heart of Fort Lauderdale, Lauderdale INFINITI is every car buyer's first choice when it comes to high quality luxury vehicles. Lauderdale INFINITI is a proud member of the Holman Family of dealerships. Since 1924, we have made every effort to provide an exceptional experience to every one of our customers and we continue that tradition with the INFINITI Total Ownership Experience. ***2019 INFINITI QX60 PURE***LOCAL LEASE RETURN***1 OWNER***CLEAN CARFAX***ORIGINAL MSRP $45,720!!! ***SERVICED HERE AT LAUDERDALE INFINITI***INFINITI CERTIFIED WARRANTY UNTIL 7/2024 OR 75K MILES, WHICHEVER COMES FIRST AND COMPLIMENTARY BASIC MAINTENANCE FOR YOUR 1ST YEAR OF OWNERSHIP***MAJESTIC WHITE EXTERIOR***GRAPHITE LEATHERETTE INTERIOR***MOONROOF***REAR VIEW CAMERA***FORWARD EMERGENCY BRAKING W/PEDESTRIAN DETECTION***PREDICTIVE FORWARD COLLISION WARNING***BLIND SPOT WARNING***HEATED FRONT SEATS***BLUETOOTH***VOICE RECOGNITION***18 ALUMINUM-ALLOY WHEELS***8 IN-DASH COLOR DISPLAY***POWER LIFTGATE***DRIVE MODE SELECTOR***HILL START ASSIST***SEQUENTIAL WELCOME LIGHTING SYSTEM***TRI-ZONE AUTOMATIC CLIMATE CONTROL***REAR DOOR ALERT***INTELLIGENT KEY***PUSH BUTTON IGNITION***VEHICLE DYNAMIC CONTROL***BRAKE ASSIST***SPLASH GUARDS***AND SO MUCH MORE***PRICED AGGRESSIVELY FOR A QUICK SALE***INFINITI Certified Pre-Owned means you not only get the reassurance of up to a 6yr/unlimited mileage warranty, but also a 167-point inspection/reconditioning, complimentary first year basic maintenance, 24/7 roadside assistance, trip-interruption services, free 3-month trial subscription to Sirius XM Satellite Radio, complimentary service courtesy vehicle, complimentary oil/filter change, and a complete CARFAX vehicle history report. Located in the heart of Fort Lauderdale, Lauderdale INFINITI is every car buyer's first choice when it comes to high quality luxury vehicles. Lauderdale INFINITI is a proud member of the Holman Family of dealerships. Since 1924, we have made every effort to provide an exceptional experience to every one of our customers and we continue that tradition with the INFINITI Total Ownership Experience. ***2018 INFINITI Q60 3.0T LUXE***ONLY 6,416 MILES!!!***WELL-EQUIPPED!!! ***LOCAL LEASE RETURN***1 OWNER***NO ACCIDENTS REPORTED TO CARFAX***ORIGINAL MSRP $54,380!!! ***INFINITI CERTIFIED WARRANTY UNTIL 8/2024 OR 75K MILES, WHICHEVER COMES FIRST AND COMPLIMENTARY BASIC MAINTENANCE FOR YOUR 1ST YEAR OF OWNERSHIP***BLACK OBSIDIAN EXTERIOR***GRAPHITE SEMI-ANILINE LEATHER INTERIOR***SENSORY PACKAGE***PROASSIST PACKAGE***MOONROOF***NAVIGATION***AROUND VIEW CAMERAS W/MOVING OBJECT DETECTION***FRONT & REAR SONAR SYSTEM***BLIND SPOT WARNING***REAR CROSS TRAFFIC ALERT***BACKUP COLLISION INTERVENTION***PREDICTIVE FORWARD COLLISION WARNING***FORWARD EMERGENCY BRAKING W/PEDESTRIAN DETECTION***BLUETOOTH***VOICE RECOGNITION***19 10-SPOKE DUAL-FINISH WHEELS***ACTIVE TRACE CONTROL***DUAL-ZONE AUTOMATIC CLIMATE CONTROL***DRIVE MODE SELECTOR***DOWNSHIFT REV MATCHING***HEATED FRONT SEATS***REMOTE ENGINE START***PUSH BUTTON IGNITION***RAIN-SENSING WIPERS***SIRIUSXM CAPABILITY***AND SO MUCH MORE***PRICED AGGRESSIVELY FOR A QUICK SALE***INFINITI Certified Pre-Owned means you not only get the reassurance of up to a 6yr/unlimited mileage warranty, but also a 167-point inspection/reconditioning, complimentary first year basic maintenance, 24/7 roadside assistance, trip-interruption services, free 3-month trial subscription to Sirius XM Satellite Radio, complimentary service courtesy vehicle, complimentary oil/filter change, and a complete CARFAX vehicle history report. Located in the heart of Fort Lauderdale, Lauderdale INFINITI is every car buyer's first choice when it comes to high quality luxury vehicles. Lauderdale INFINITI is a proud member of the Holman Family of dealerships. Since 1924, we have made every effort to provide an exceptional experience to every one of our customers and we continue that tradition with the INFINITI Total Ownership Experience. INFINITI is a uniquely styled luxury automobile brand that is known for its performance and stately demeanor. The finely stitched leather seats and aluminum accents give these vehicles the classy look and comfort that you desire. Many feature Bose® radio with the wave technology that produces a clarity like no other system in the world. The smart key fob automatically remembers your mirror and seat adjustment settings. When you throw in intelligent all-wheel drive, direct adaptive steering, digital dynamic dampening, and all the safety features, it is easy to see why owners are happy about owning these vehicles. These features are special engineering that you find packaged in INFINITI vehicles alone. While there may be similar features in other models, INFINITI takes it to the next level. The digital dynamic suspension dials in the exact stiffness you need for cruising around town or speeding down the highway. Direct adaptive steering eliminates a steering wheel and sends the electronic message to turn directly to your wheels. 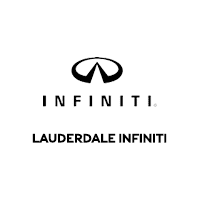 Lauderdale INFINITI is your source for INFINITI Certified Pre-Owned cars and SUVs. We have a great selection, and we can help you narrow down your search to the right model. Our entire sales and service process is streamlined to make it as easy as signing some papers and driving away in your dream car. You’ll be living the dream when you own a Certified Pre-Owned INFINITI model because these vehicles are premium selections at excellent prices. Certified Pre-Owned vehicles are a great deal because they are returned to us after the lease in nearly mint condition. The lessees tend to baby these vehicles because they don’t want to be hit with additional depreciation surcharges. When a vehicle returns from a lease, we do a thorough inspection, and if there are any repairs needed, these are typically paid for by the lessee, which allows us to ensure the vehicle is in the best shape possible. Our Certified Pre-Owned program eliminates a lot of the worries because we back our vehicles with warranties to prove that they are functioning strong. And because we generally have access to the full-service record, we can assure you that no lapses in maintenance occurred. In fact, in most cases, our expert factory-trained technicians have taken good care of these leased vehicles since the day of leasing. If you need a reliable and solid running luxury performance vehicle, the INFINITI models at Lauderdale INFINITI are among the hottest deals that you will find, we believe, for numerous logical reasons. Please call or stop by for a test-drive.